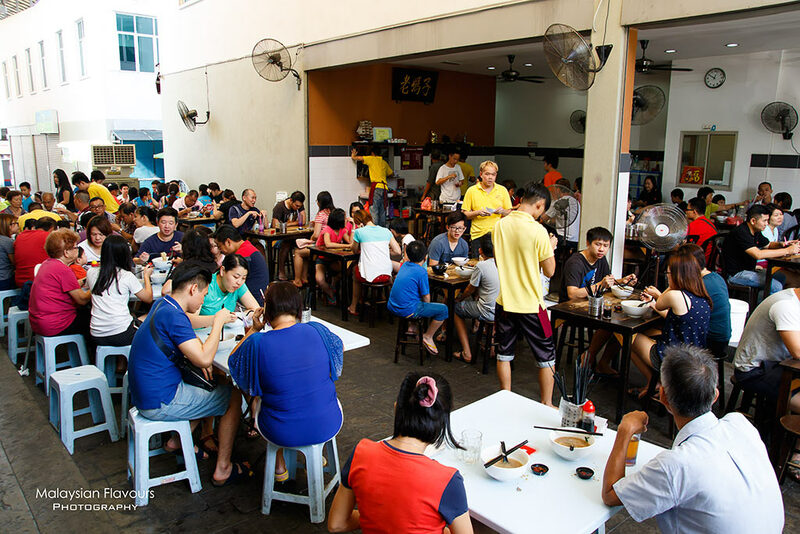 Mama Love Pork Noodles 老媽子豬肉粉 in Taman Tun Perak Cheras KL (Opposite Pro One Badminton Centre) is another much-raved about “zhu yuk fan” in Kuala Lumpur. There’s always queue from breakfast till lunch. Full house is normal. 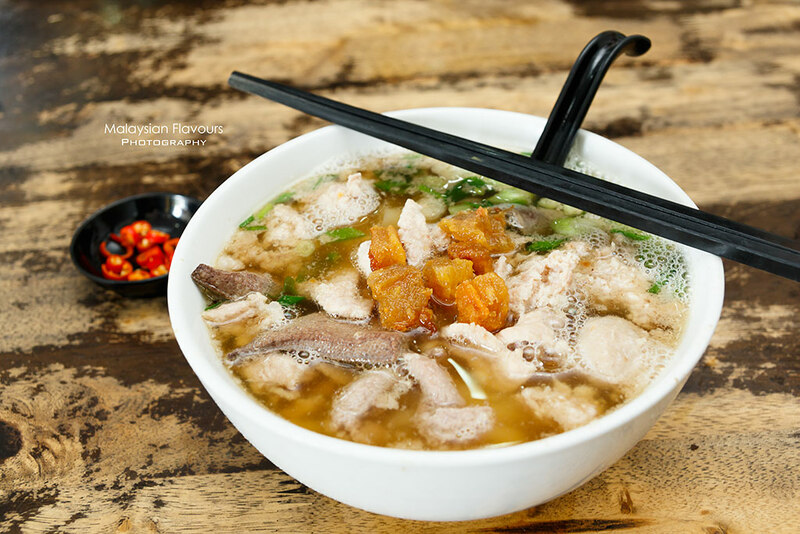 There aren’t many new cafes in KL that can draw our interest recently, hence breakfast and lunch are normally simple homecook meal or cheap price food at local kopitiam nearby. 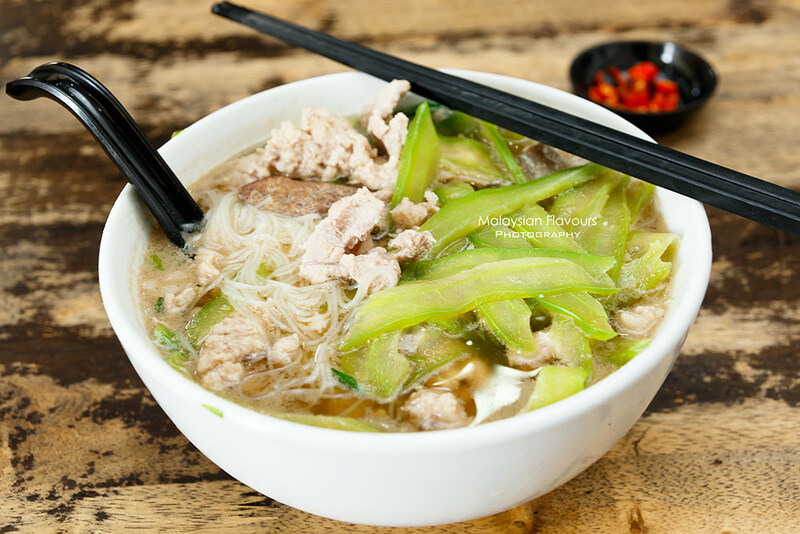 Read about Mama Love, or Lao Ma Zi Pork Noodles the other day, and saw they have compliments like: ” I never love pork noodles but after eating the one from Lao Ma Zi, I got hooked with it and becoming regulars there.”. Hmm, that good? Now we have a reason to visit. 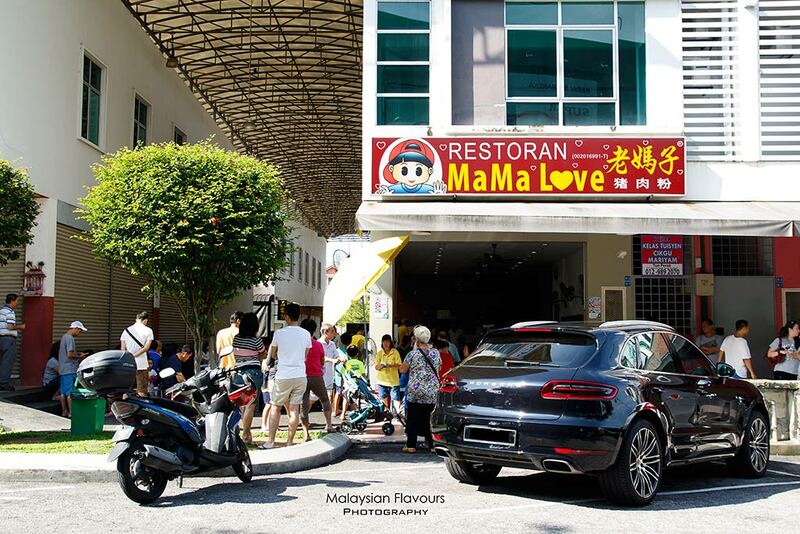 Mama Love was already full house when we reached at 9AM last Sunday, with short queue outside the shop. Few staffs were seen taking down orders for waiting customers. A manual but systematic ordering system during peak hours. Just place your order to them, staff will pass you your order paper together with your waiting number. When your number is called, go to your table as directed, pass your order paper to them. Done. Wait for your pork noodles to arrive. Menu on Restoran Mama Love covers pork mee, pork noodles with bitter guord, curry mee, seafood noodles, and children set. Reasonable price below RM10 for all regular size noodles. 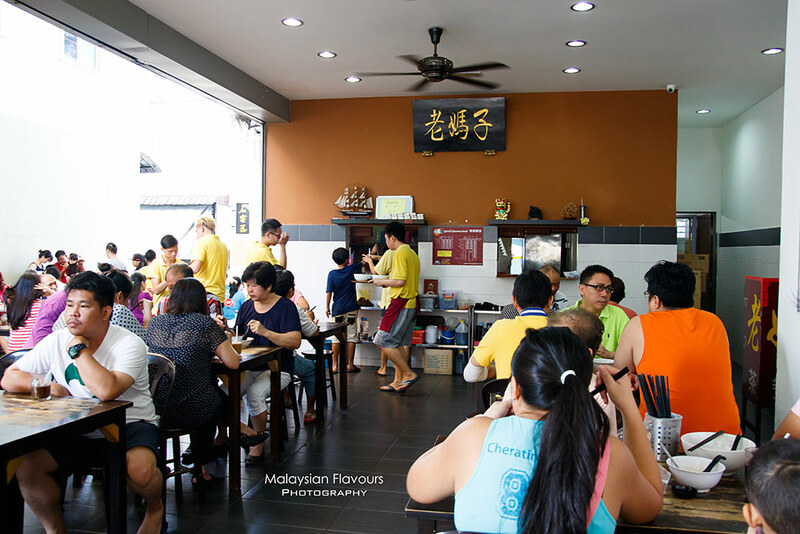 Needless to say, most customers come for their pork noodles, even though we saw few tables having curry mee. Looks equally delicious too. Summerkid’s Regular size pork noodles is priced at RM6.50, but considered as “Large” to us. 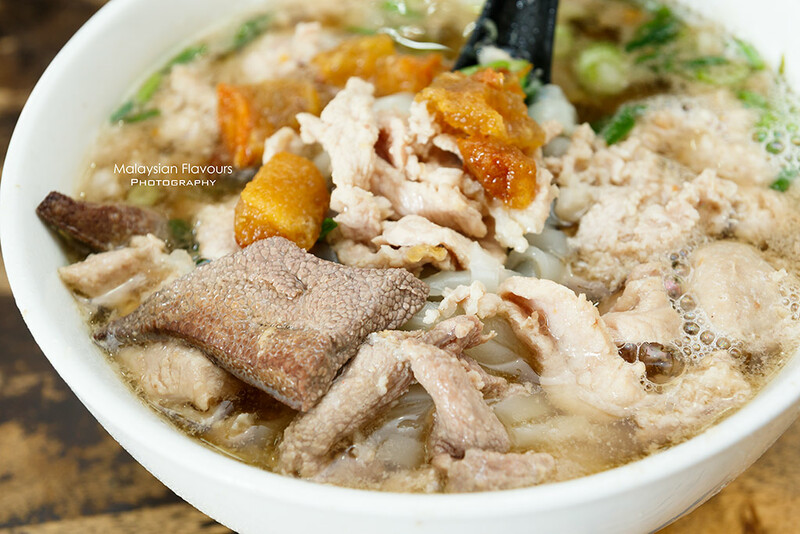 Generous amount of hor fun, topped with minced meat, pork ball, pork slices, pork liver and pork intestine. Soup is towards clear, not cloudy type, helmed with sweetness from pork. Remember to help yourself with FREE deep fried pork lard (zhu yau zhar). Limited amount available daily. Summergirl regretted for ordering a bowl of Bitter Guord Pork Noodle for herself, as the portion was so big that she could barely finish half of it. “做麽好像越吃越多” she said. hahaha. 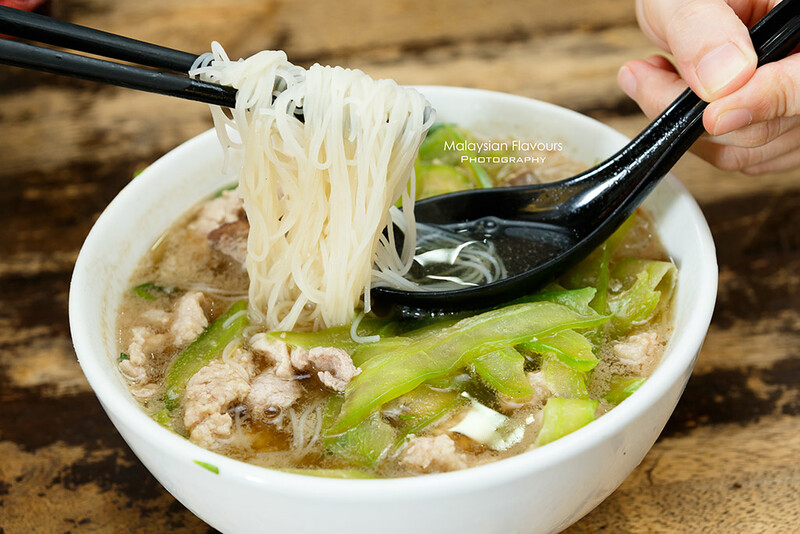 Comparing to the original pork noodles, broth has subtle nuances of bitter gourd bitterness, lighter, more clean in taste. 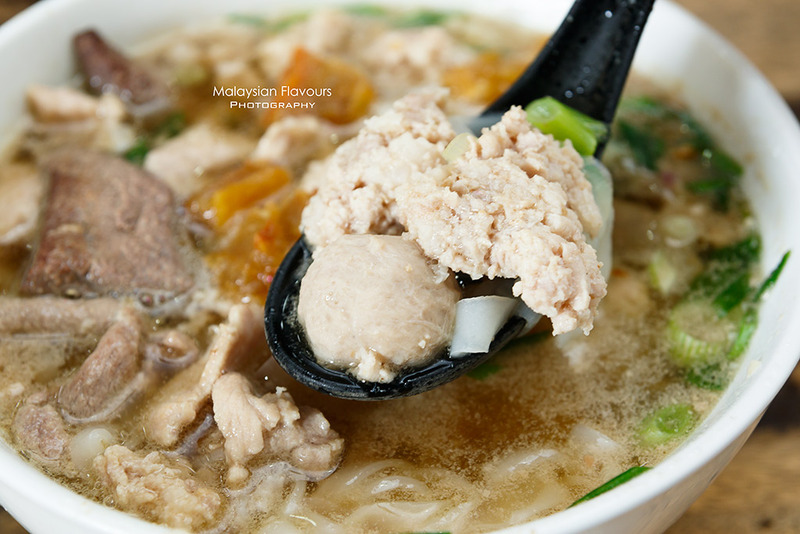 Overall comments: Mama Love Pork Noodle is decent but personally, we prefer Machi Pork Noodle at Taman Bukit Anggerik Cheras more. But speaking about portion, Mama Love has a really hearty, huge serving with generous pork toppings. Service wasn’t exceptional friendly, but considered good, seeing that every staff is busy from breakfast till lunch. LOL. is the deep fried pork lard self service that we can get however much we want at one of the stations or u hv to request frm staff?? You can ask from the staff but they are normally busy haha. So they asked to take ourself from the cutleries counter below the menu board. It is FOC.